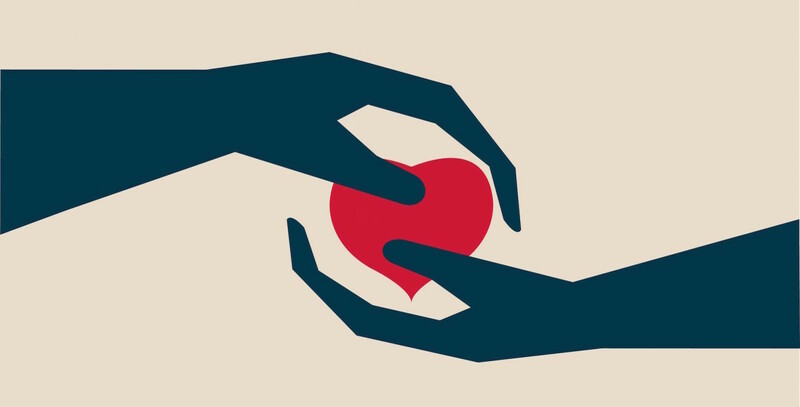 In this blog post, an interview with NACA Rep Mark Kumpf about a progressive new position statement that will help bring victims of cruelty out of the dark shadows and into a new age of compassion. Big stuff here, guys. You may have heard us lament about some of Vick's shyer dogs who were further compromised by their long and stressful six month confinement in the shelter that housed them. Without enrichments, human companionship or a chance to exercise, high drive Uba, for example, was so emotionally fried that he pancaked to the ground in a low-grade panic when he finally got out of his kennel. And Best Friend's handsome 'Oliver' (above) was so stressed that he literally vomited when the eval team first brought him outside. These boys have each been adopted and are making dramatic improvements, but we always have to wonder "What if?" their time in lock-down had been shorter and/or had included some comforts while they waited? Their shelter was following an old school belief that saw bust dogs strictly as inanimate evidence - meant to be gathered, stored, and destroyed once legal proceedings wrapped up. That viewpoint was so ingrained that it took the push of the fed gov't via court appointed special guardian Rebecca Huss to convince the shelter management that, Yes, they really did have to allow BR volunteer Nicole Rattay (above) in to offer enrichments during the final leg of their wait. Times are a changin' though, and more and more shelters that house animal victims of cruelty are voluntarily exchanging outdated ideas for healthier, more progressive practices that give dogs comfort, provide for evaluations and, in many cases, an opportunity to join an adoption program. That trend is about to get a big boost from NACA - National Animal Control Association - the guiding leader in animal protection and control. NACA sets the tone for public shelters especially around the country. Their stated mission "is to define and promote professionalism in the animal protection care and humane law enforcement field by providing quality services, education, training, and support." 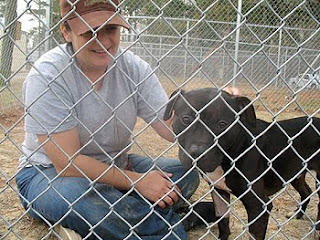 We first met NACA's then-president Mark Kumpf at a meeting at the 2009 Humane Society United States Expo in Las Vegas. As many know, this meeting signaled HSUS' new policy that (now) supports evaluations for bust dogs, and it resulted in a coalition called Victims of Cruelty Working Group. We didn't have much experience with NACA leadership at the time, but knew their perspective was one of the most important viewpoints at the crowded Vegas table due to the simple fact that they represent the thousands of shelters around the country that are charged with housing dogs right after a cruelty bust, sometimes for months or years on end while court proceedings drag on. It was music to our ears then when Mark spoke up for changes and passionately advocated on behalf of the dogs who suffer their circumstances through no fault of their own. That compassion for the dogs rolled into several task force meetings and discussions about the need for guidelines that promote better practices. Inspired by a draft now being penciled by the American Bar Association, NACA has launched a most progressive set of guidelines for the disposition of animal cruelty victims. Read in full here, but before you let your eyes get sleepy - remember! - as dry as policy can sound on paper, this position statement is an important piece of animal welfare history, for targeted breeds like pit bulls especially. An animal control directive that treats victims of fights busts just like other cruelty victims and urges enrichments, exercise, evaluations - and whenever possible, rescue or adoption placement - would have been unheard of just a few years ago. 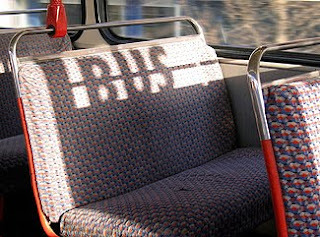 It's a great day to see pit bulls get a seat on the bus as NACA raises the bar for the animal welfare community. BR: What was behind NACA's decision to create a set of guidelines for the disposition of cruelty case victims? Mark Kumpf: NACA has long advocated for positive outcomes for the animals our members deal with on a daily basis. Animal victims of cruelty cases present the greatest challenges to the agencies charged with enforcing animal laws. Up to this point, no major organization has advocated for a comprehensive guideline addressing the disposition of animals from these cases. NACA's involvement with the Victims of Cruelty Working Group has clearly identified a need for a guideline that agencies nationwide can use as a template for dealing positively with these types of cases. In the past and even now, the agencies handling the enforcement have faced criticism from all fronts as the unfortunate result for most animals has been euthanasia. This guideline seeks a balance so that all groups can work together and recognize that euthanasia is not the only outcome. Cooperation is the key to seeing more animals successfully placed but it is also the key supporting the agencies who face these cases every day. Above: Lara Peterson from A Rotta Love Plus examining a fight bust victim at Animal Rescue League of Iowa. BR: These are industry best practice standards, not mandatory regulations. Outside of circulating this document, how will NACA encourage and support its members to implement these practices? MK: NACA will promote this guideline in future editions of the NACA News as well as online at our website. As members and agencies encounter these cases, they can seek written support from NACA which, in keeping with our guidelines, can be offered to administrations, law enforcement, the judiciary and others to educate them about alternatives and options that are available. 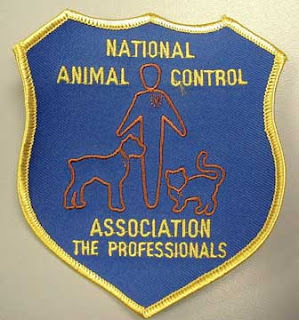 NACA has always encouraged its members to be proactive and creative to improve conditions for our members, their communities and the animals they protect. BR: The document encourages minimizing animal holding periods. Can you describe a "best case scenario" for expediting the legal process for seized animals? MK: When dealing with animal holding periods, the best case involves prompt collection of any evidence needed including forensic, photographic, or medical. Animals themselves should not be considered "evidence" past the point that all of the needed materials are gathered. Unlike inanimate objects, long-term care for animals is often detrimental. Agencies should seek custody of any animals seized through a legal forfeiture process established for that purpose and, if custody is gained, them make prompt arrangements to evaluate each animal individually to determine if it can be placed. Other animal organizations need to be ready to immediately support these actions and assist with locating appropriate placements. If placement is not forthcoming, again, both the investigating agency and the other animal organizations need to have a professional approach when discussing outcomes. Expediting the legal process may actually require legislative changes. Agencies and organizations should review their existing laws and then look to states with procedures already included in law such as Virginia and Ohio. 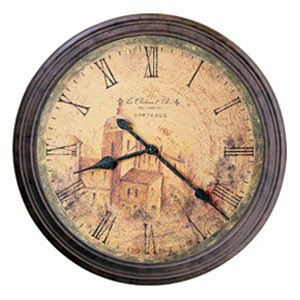 Setting a time line for hearings and such helps reduce the amount of time animals spend in limbo waiting for a final disposition. It is also critical that the judiciary (Judges and Prosecutors) be educated on these issues. Often, they only deal with evidence that does not require care and feeding; therefore, their rulings (and delays in same) frequently overlook the animals themselves. Citizens often have more impact when contacting legislative representatives and are encouraged to meet with their local animal care & control staff to see what changes that they could be most helpful with based on needs in the community. BR: Which part of these guidelines do you anticipate will be the hardest for shelters to meet, and what can communities do to support their efforts? MK: Many communities will be hard pressed to find resources and appropriate placement for victims of animal fighting ventures. Often these dogs face the most negative publicity and are difficult to place in appropriate homes. The guidelines overall should not represent any insurmountable obstacles as they are founded on the obligations that any responsible owner should provide for their personal animals. Humane care, proper food, exercise and medical treatment are all things that should be provided by law. Communities can support the efforts by being a positive, cooperative voice advocating for appropriate funding, housing and care for animals from cruelty cases. Supporting training and professional standards for animal care & control staff has a positive impact on cases as well. In many cases, animal shelters and staff are the last on the funding list for localities. 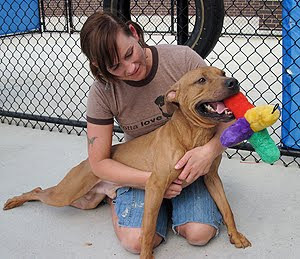 NACA also supports animal shelters and their inclusion in facility updates and improvements. Animals, their housing and the staff charged with enforcement and care all need to be priorities for communities. We look forward to working with NACA members to help reach the goals in this document. 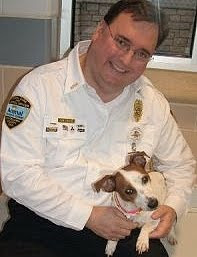 Mark Kumpf is the Director of the Montgomery County Animal Resource Center in Dayton Ohio. He represents NACA on the six man Victims of Cruelty Working Group team along with the ASPCA, Animal Farm Foundation, BAD RAP, Best Friends, Humane Society United States. Lessons from the custody dogs. An interview with ACO Laurie Adams on enrichment. Partners in Shelter Services for training information. Give A Dog a Bone enrichment program. Wonderful news, this is so encouraging especially for us pittie lovers who have waited so long for them to all get a fair shake (pun intended) no matter what their past is. Thanks so much for sharing this good news. I can fall asleep tonight with happy thoughts and a smile thanks to this. And thank you to all who have done so much to bring about these revised actions to help so many more dogs. I'm smiling myself to sleep too, Leigha. I never knew I'd turn into such a policy nerd, but NACA 's commitment to bust dogs has me jumping for joy. This is truly fabulous! I so glad you're getting a morale boost after all your recent losses. Thanks for sharing this! In my cube at work my walls are plastered with proud pictures of my Pit Bull and other cute pictures of Pit Bull related funnies. I have people coming in to chat about their beloved Pits or their dogs. Occasionally, I have the 'I can't believe you own one of those dogs. Aren't you afraid?' conversations. The conversations always end with people leave with something good to thing about. I start with this because with out all the grassroots efforts on the parts of organizations like BadRap, MABR, Animal Farm (just to name a few), caring animal professionals (vets & ACO's) AND good owners, we wouldn't be having amazing opportunities like policy change in governing organizations. Thank you for sharing this win. No, you aren't a policy nerd. 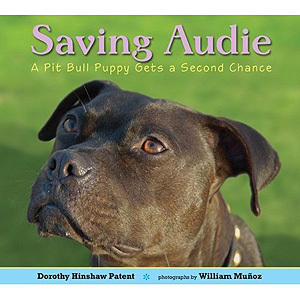 You are simply sharing Pit Bull Gospel. I'm a policy nerd! This is awesome, awesome news, and thanks, Donna, for passing it on! Some additional optimism might be in order here as well. 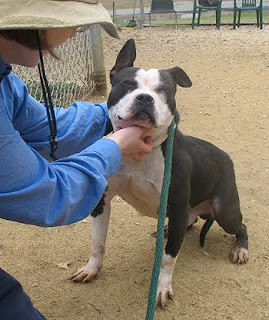 MN's MACA was instrumental in beating back a proposed breed ban here in 2007-2008, but, as far as I'm aware, NACA hasn't been willing to throw its wholesale support behind anti-BSL fights where the local animal control authorities support, and enforce, bans. 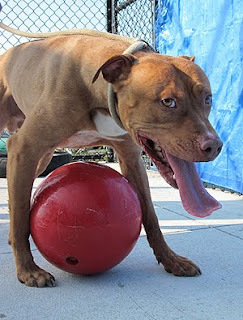 It seems to me that NACA's decision to improve the treatment of impounded dogs in seizure cases regardless of breed bodes well for their eventual movement in the right direction on BSL. It sure looks like this train is moving in the right direction, folks. I am dancing. New day. New time. New hope. Now, about the new guy Husky from Indiana and his friend CHOPPER... Have I missed something? We need to know. Thanks for that info, Jenny. NACA is perfectly positioned to beat back BSL since of course it's the shelters that have to shoulder the extra work of enforcing breed specific laws that don't touch the core problems they deal with. This is certainly great news Donna...and thanks for posting. I do think it's important though that NACA not only put it in writing (a FANTASTIC first step) but also make sure that the AC organizations that report into them actually follow it. While for years, NACA has had a policy in place against BSL, but in spite of that have stood silent while many of their members (including one board member) have been out promoting BSL in their communities. My hope that this becomes more than just written policy and really becomes actionable. Great work on getting it this far along though. That seems to be the second reaction (right after "Wow") from everyone who hears this news, Brent: Will NACA put any push behind their words? I hope Mark peeks in to talk about that. Oliver, what a handsome boy you are! I'd love to stroke that velvety back. Hubby brag: Tim the Carver. The nose knows! Space needed for nose work.